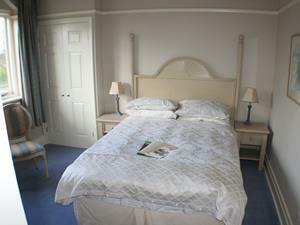 Located conveniently on the main York-Thirsk road, north of the city centre. “The Heathers” offers a relaxing atmosphere after visiting the many attractions of York. “The Heathers” is one of the top inspected Guest Houses in York according to the AA “Britain’s Best B&B” Guide, and our accommodation has been given an AA "Gold Award" for standards. We offer totally “No Smoking” accommodation, together with the unusual benefit for York - private “off-street” car parking for all of the guests. Plus nearby, there’s a regular (every 10 minutes approx.) bus service into the City centre, if you do not want to take the car. 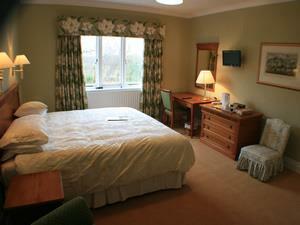 All rooms are en-suite and you will find all of the rooms furnished to a high standard. Rooms at the back of the house overlook the large rear garden which has a wide range of birds and wildlife visiting on a regular basis. All of the rooms have free Wi-Fi internet access available through-out the day. Tea and coffee-making facilities are available in all of the rooms - experiment with new flavours using the range of tea, fruit and herbal blends supplied. Each room contains the “AA Guide to York” - the best guide for York. Children welcome from age 14. The Heathers Guest House sometimes limits bookings to 4 or more days. Children are accepted from 14 years. Located on the first floor of the house, Standard rooms have standard 4ft 6inch wide double beds, with en-suite shower/wc and hand basin. Colour TV and Hospitality Tray with a range of teas and fruit/herbal infusions. Double en-suite sometimes limits bookings to 4 or more days. Located on the first floor of the house, is our Executive double room with super-king size double bed and large shower room. Overlooking the car park at front of house with Clifton Ings beyond. Exec Es Dbl sometimes limits bookings to 4 or more days. Shipton Road is the A19 York to Thirsk road, between the A1237 outer northern ring road and York city centre.We are just over one mile from the city walls.